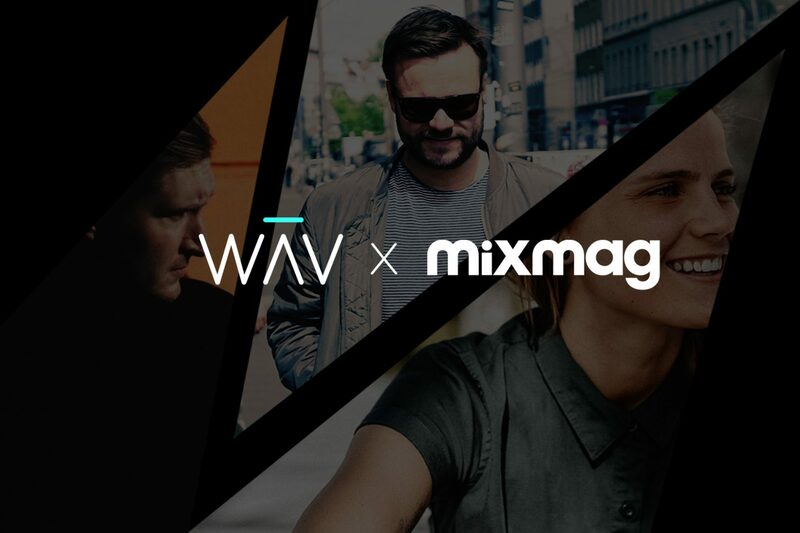 Mixmag is thrilled to announce a brand new partnership with music and artist discovery platform, WAV. To celebrate, Mixmag and WAV are teaming up for a debut launch party which will take place on Wednesday, January 31 in Los Angeles, with exclusive, intimate performances by Tensnake, Amtrac and J.Worra. On WAV, fans can discover new artists and follow their journeys through exclusive content, interactive live streams and behind-the-scenes clips. Aside from being an artist discovery hub, WAV is a producer of quality original series and live-streamed content. Previous collaborations feature work with OWSLA, Dirtybird Records, and other pioneering electronic dance brands. Through WAV, fans experience music like never before, and artists benefit from an all-in-one solution to help propel their career. Starting in February, WAV will be the new presenting partner for Mixmag’s Lab editions in Los Angeles and New York City. The Lab will be back in its weekly, live-streamed format in our offices in the North American metropolitans… but of course, bigger and better than ever. Stay tuned for lineups and streams, coming soon to our Facebook, YouTube channel (MixmagTV) and WAV, where you’ll find The Lab, exclusive behind-the-scenes content and more. Keep an eye out during the rest of 2018 for more exclusive and original content to come from WAV and Mixmag. With over a decade of music production under his belt, Hamburg native Tensnake was a vital influence on the wider electronic music sound early on in his career. Credited for helping to usher in the new wave of modern disco and fascination with deep house, especially so with his iconic 2010 track 'Coma Cat'. Since launching his own label True Romance in 2013, Tensnake has cemented his status by hosting releases from Andre Hommen, Prison Grande, Charlie Sputnik and many more. Amtrac found his way to production through bands in his small hometown in Kentucky, eventually making his way over to Miami and Los Angeles, where he now resides. One listen through his discography of remixes and originals and it'll be evident that Amtrac has a sharp ear for melodic, house productions. Eventually, he debuted his own imprint called Openers. His next release, out on March 2, is called 'Old Times' with featured vocalist Anabel Englund. Chicago native and WAV artist J. Worra is a rising talent barreling her way into the spotlight with an addictive take on wobbly, bass-driven tech house. Already a favored set to catch on the festival circuit, J. Worra has also released on Perfect Driver, House of Hustle, Insomniac's IN / ROTATION and more. Download WAV and watch J. Worra's stream exclusively and directly on the app here.